The Crusaders romped to their biggest Super Rugby victory of their year by hammering Melbourne’s Rebels 85-26 bonus point victory in Christchurch. 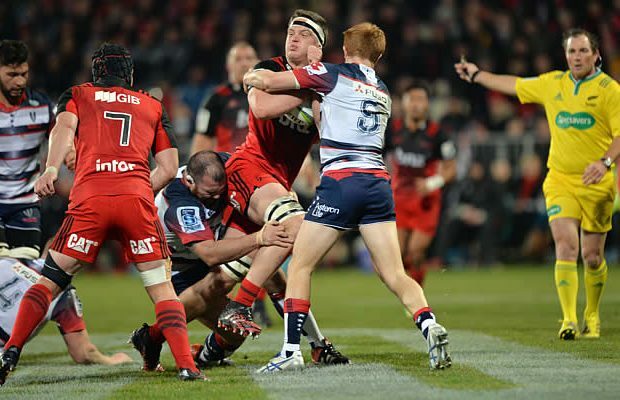 In the corresponding fixture last year at the same venue the Rebels beat the Crusaders 10-20 in the opening round. The Crusaders scored seven first half tries as they raced to a 43-7 lead which was their biggest half time points tally since 2003. The Christchurch side returned for the second half with the same intensity and crossed the Rebels tryline two minutes after the break for the first of six second half tries. In all the Crusaders outscored the Rebels by thirteen tries to four in the match which makes a total of 17 tries for the match. Crusaders winger Johnny McNicholl scored his hat-trick try in extra time and Matt Todd was named man of the match. Unusually for a modern rugby match there were no penalties in either of the team’s scores. The Crusaders have now played and beaten all five of the Australian sides and ironically the Rebels 26 points is the most points scored by an Australian side against the Crusaders in 2016. The lop-sided encounter kept the seven-time champions one point behind the Chiefs who also collected maximum points when they whipped the Reds 50-5 on Friday and ensured the New Zealand conference will go down to the wire. Had Richie Mo’unga been at his kicking best the Crusaders would have been nudging 50 points by half-time. The Crusaders set the record for the highest score in Super Rugby when they beat the NSW Waratahs 96-19 in 2002. They scored a record 14 tries in that match which was equalled by the Cheetahs earlier this year when they beat the Sunwolves 92-17. Stung by their loss to the Chiefs last week, and losing their place at the top of the ladder, the Crusaders were determined to make amends as they thrived on audacious offloads against a brittle defence. Sam Whitelock, in his 100th Super game and captaining the side in the absence of Kieran Read, set the tone when he scored the opening try after 90 seconds. 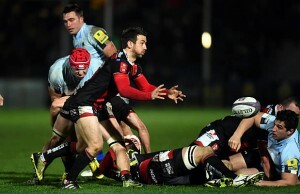 “We weren’t happy after last week and we wanted to start well and the boys did that, spot on,” Whitelock said. Although the Rebels ranks were hit by injury and flanker Colby Fainga’a was converted into a back to plug a hole in the second half, captain Nic Stirzaker made no excuses. 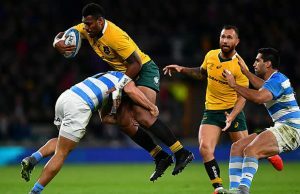 “It was a pretty rotten start, a charge down and a try early and then it was tough to stop the rot once it set in. We were pretty dreadful and they were exceptional,” he said. In addition to McNicholl’s triple, Ryan Crotty and Codie Taylor both scored two tries, while Whitelock, Scott Barrett, Alex Hodgman, Nemani Nadolo, Pete Samu and Matt Todd also crossed the line. Mo’unga landed seven conversions and Nadolo two. Stizaker scored the Rebels only try in the first half with Reece Hodge, Culum Retallick and Sefa Naivalu scoring after the break. Jack Debreczeni landed three conversions. Next week in the final round of the regular Super Rugby season the Crusaders host the Hurricanes in Christchurch while the Rebels play the Reds in Brisbane.